Albert was born 7 October 1889 (birth certificate number 2959) in Sydney, New South Wales, Australia. 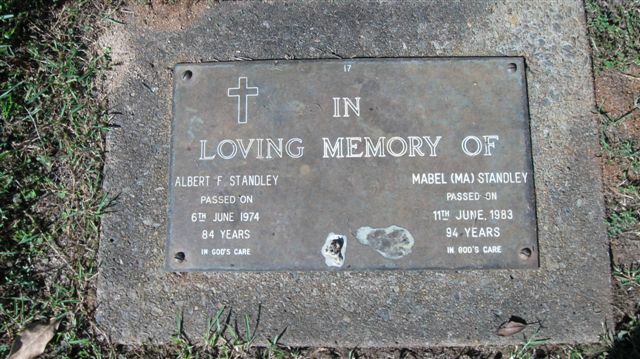 The first record we have of Albert is his marriage to Mabel Baddiley on 27 April 1912 aged 22 at St. Thomas’ Toowong, Brisbane, Queensland, Australia. (Marriage Certificate number 003157). Frome the 1913 Electoral Roll we see that he was living with his parents at the time in Fortitude and working as a Tram Conductor. This same year on 6 March 1913, their first child is born, Isobel May Standley (1913 – 1987). On 14 February 1918, a son Albert William (1918 – 1983) is born. By 1919, then aged 30, Alfred and Mabel are living in Kelvin Grove Road, Newmarket, Queensland, working as a tram worker. On 6 April 1921 a daughter Margaret Lillian Constance is born (1921 – 2009). Then by 1949 they have moved to 31 Tathra Street, Petrie, Queensland, here they remain with Mabel looking after the household duties and Alfred working as a tram worker. For a while their son Albert lives next door with his wife at 29 Tathra Street. 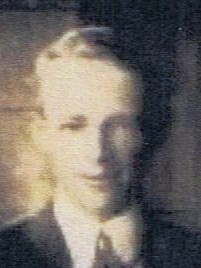 Alfred passes away on 7 June 1974 aged 84, (Death Certificate unknown). Mabel out lives her husband and passes away 15 June 1983 aged 94.